Home to the 2012 Summer Olympic Games. As well as Diagon Alley, The Leaky Cauldron, and Gringotts Wizarding Bank. It’s also where Sherlock and many Doctor Who episodes take place. You know what my hubby said when we saw a commercial for the Olympics? And that is just reason 5,486,902 why I love him. 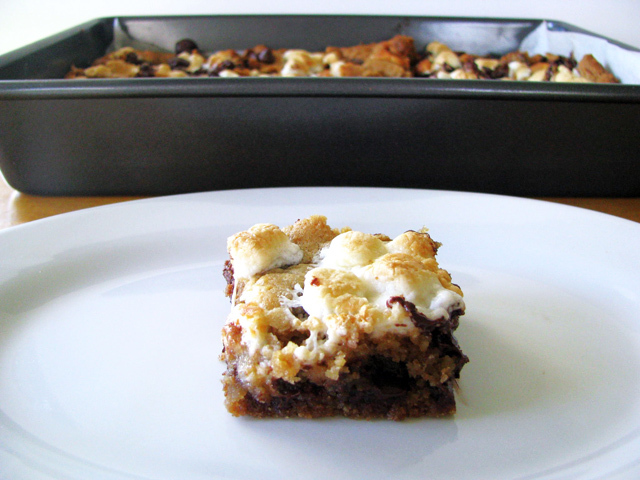 In a medium bowl, add flour, graham cracker crumbs, baking soda, salt, and cinnamon and stir to combine. Set aside. In a large bowl, add butter and sugars and beat for a couple of minutes or until light and fluffy. Add eggs one at a time, beating after each addition. Add vanilla and beat to combine. Slowly add dry ingredients to wet ingredients and mix to combine. 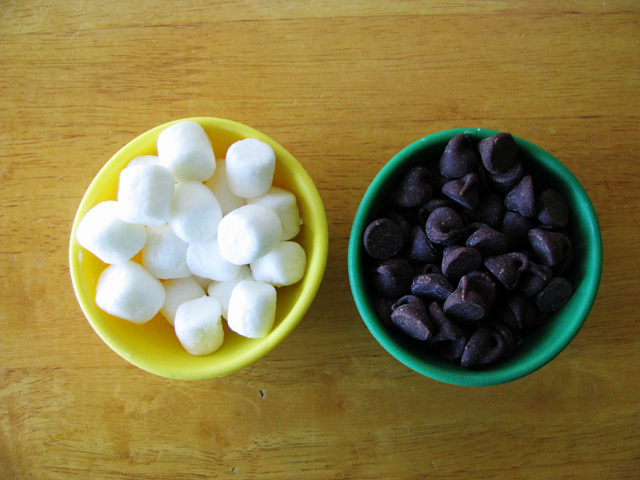 Fold in ¾ cup bittersweet chocolate chips, ¾ cup semi-sweet chocolate chips, and 1 ½ cups mini marshmallows. 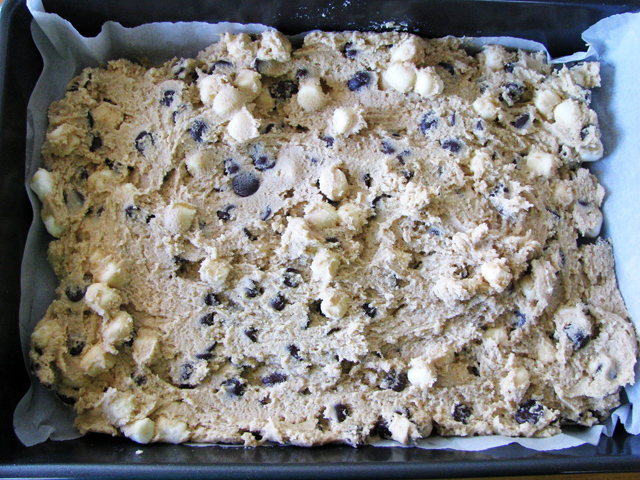 Spread dough evenly into a parchment lined 9×13 inch baking pan. 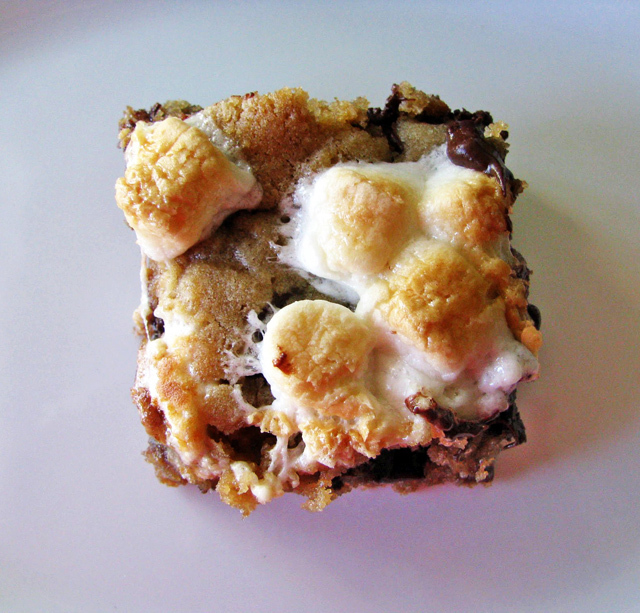 Sprinkle remaining chocolate chips and mini marshmallows on top of cookie base. Bake for another 10-12 minutes. 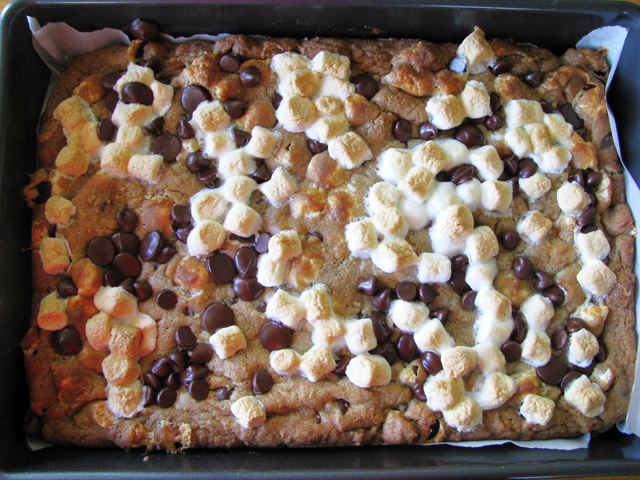 This entry was posted in Baking, Food and Drink, Geekin' Out, Shiny Stuff and tagged cookie bars, Diagon Alley, Doctor Who, Gringotts, London, recipe, Sherlock, smores, Summer Olympics 2012, The Leaky Cauldron. Bookmark the permalink. My goodness…these are definitely going in the keeper pile. 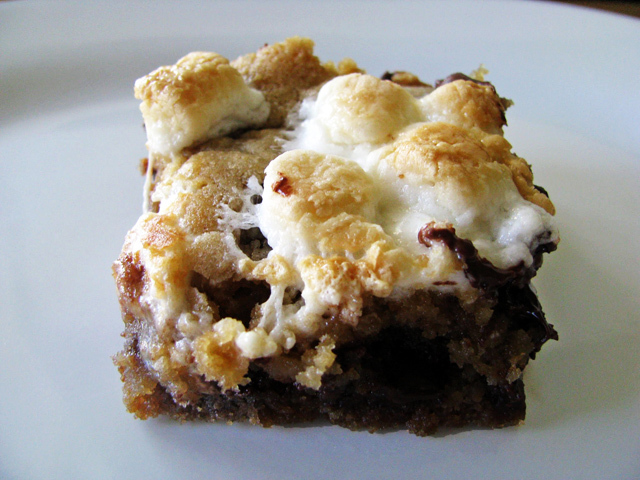 I love s’mores so this is the perfect treat. Yummy!